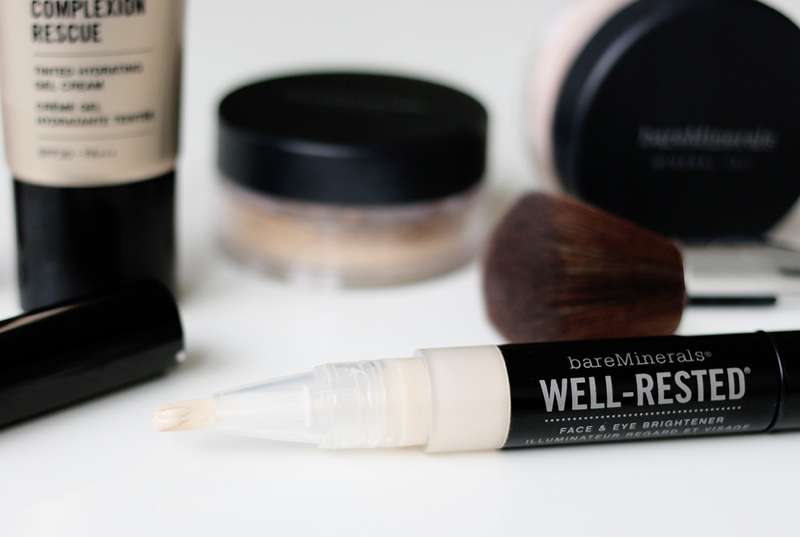 If you watched my video a couple of weeks ago New In || Products, thoughts and Mini Reviews then you will probably remember me talking to you about a few BareMinerals products that I have been trying out over the past few weeks. 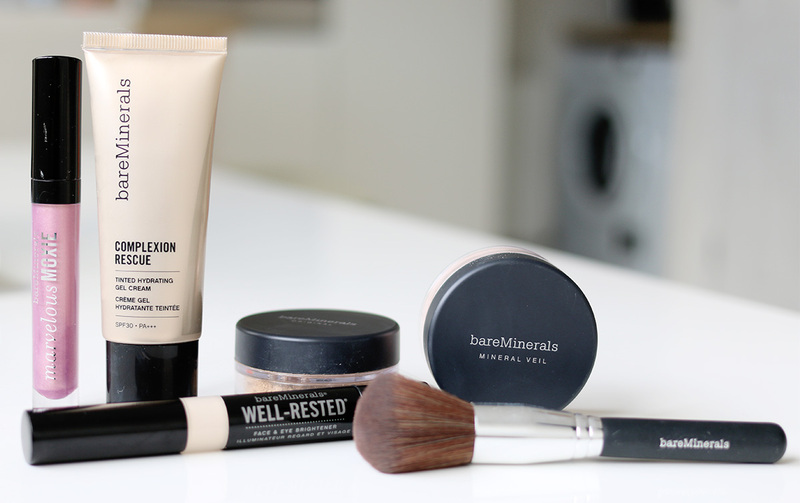 I have never tried anything from BareMinerals before so I thought I’d put together a first impressions posts of the products I got to try and let you know my thoughts on them as I have been wearing them quite a lot recently I’m going to talk you through my thoughts on each of products and how I have been making them work for me. I won’t lie to you, BareMinerals has never a brand I’ve been truly wowed by when I see it in places like House of Fraser, I usually tend to have a quick look and then walk on by. I never really understood the whole loose powder thing and just thought it was messy and that it wouldn’t be very nice on the skin, little did I know that when I tried the brand I would fall in love so let’s talk favourites first. These were two of the products I was most intrigued to try, I’ve heard so many great things about these products but I definitely didn’t expect for them to work wonders on my skin. The low down on my skin type; I have combination skin, oily areas on the forehead, dry areas on the nose and chin then normal everywhere else it’s a bit of a wildcard really so I have to be quite careful with the type of products I use. I tend to stay away from powder foundations as they tend to dry my skin out so when I tried the Original Mineral Foundation what do you think happened? Well I can tell you my dry skin didn’t stand out like a sore thumb, in fact it seemed to disappear along with all my other blemishes! I was absolutely shocked to see how amazingly well this mineral powder hid my blemishes and it also made my skin look radiant and glowy! I was totally shocked but excited at the same time, I love to apply this in layers and it usually ends up being just two thin layers then I add a little more with a smaller brush onto any blemishes I still need to hide. I don’t really feel I need to set this but If I’m off out I will add the Mineral Veil Finishing Powder to set and I’m good to go. The Mineral Veil Finishing powder didn’t really wow me initially when used alone but when paired up with the foundation I fell in love, it’s light weight and gives and airbrushed finished which is perfect for nights out or special events. I have the original shade but there are 3 other finishes to choose from; illuminating, hydrated , and tinted, I think I’d like to get the illuminating version next as I’m all about glowing skin so think this would work a treat. 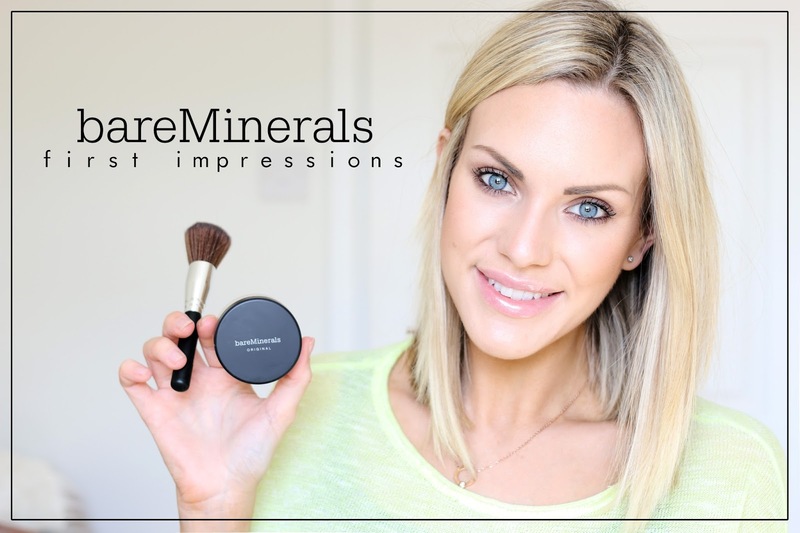 When you think of BareMinerals do you just think of powder products too? Well think no more because they also do liquid products and lots of other treats. 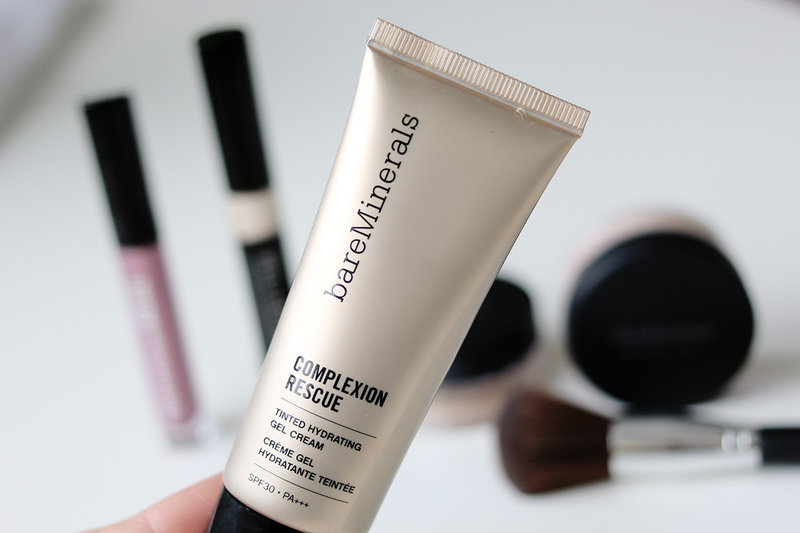 Complexion Rescue is a new launch from BareMinerals and it is a tinted hydrating gel cream, it’s basically a BB, CC cream and tinted moisturiser in one featuring all of their best bits. This works perfectly on ‘no makeup’ makeup days, it’s super lightweight adds a touch of cover to even out the complexion and my favourite part is how hydrating and cooling it is on the skin, I use the shade Vanilla and what I really love is that there are 10 other shades to choose from. It’s oil free and fragrance free so if you are quite a sensitive sole then there is nothing to worry about here, oh and if you are off on holiday soon then this is one to pack as it has SPF 30 in it! Holiday makeup sorted! I have been using Well Rested as a highlighter/brightener on the tops of my cheek bones, above the brow bone and on the inner corner/tear duct area of the eyes. When researching how to use this product I did come across a tip to apply this under the eyes but I like to apply it anywhere I’d usually add a highlighter, I find this works best for me and it works really well before or after foundation so a really nice, quick and easy pick me up product that brightens and lifts with just one application. 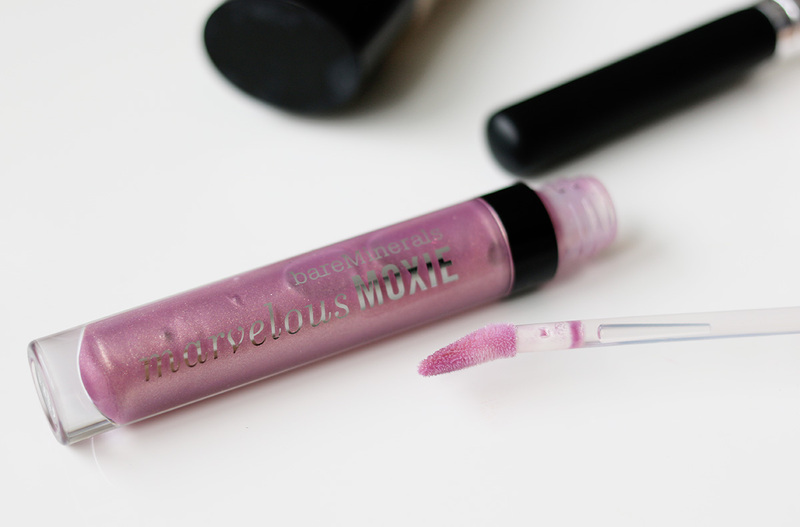 The last product I have been trying from Bare Minerals is the Marvelous Moxie Lipgloss in the shade Ring Leader. BareMinerals promise fuller and a more voluptuous pout when using these glosses including naturally-derived Shea, Avocado and Murumuru butters help to deeply hydrate and smooth lips while an infusion of minerals revitalises lips for a healthy-looking pout. I have to say I really love the applicator wand on this gloss, it hugs the lips completely and applies beautifully and the gloss itself is really nice too a sheer-to-medium coverage and non stop glistening shine it also has a really nice cooling feeling on the lips which is lovely! Perfect to wear over lipsticks or alone, a really nice gloss and a whole bunch of colours to choose from. So there you have it, lot’s of products and all pretty impressive I’m absolutely amazed and so happy with my first lot of BareMinerals Products and I’m now super excited to try more.I’d love to know your favourite products from the brand and why you love them so much!